I have never met a business owner who made the following request: "Let's put in a long-term incentive plan to destroy company value". Sounds implausible, right? Unfortunately, many business owners do just that. Their incentive planning process is devoid of testing. As such, they never consider the full range of what-if's - such as contingency planning or change in business direction. As a result, we have been brought in to fix many incentive plans gone bad. Below are five examples of value-destroying incentives. Do any of these sound familiar? A company has a high visibility bonus plan that rewards one single thing: growth in annual profit. However, the long-term strategy is to sell the company to a strategic buyer. In the eyes of potential buyers, all profit is definitely NOT equal. Result: the bonus plan essentially defeats the growth strategy. A company has the following stock ownership: two founders each own 50% and one key executive has 4% stock options. The executive with 4% stock option exercises for stock. As a result, the two 50% founders now each are relegated to 48% minority owners with an unexpected 20% discount - representing a material loss of value reflecting lack of control. An engineering firm has great growth prospects. Growth continues and the company increases in value - which means the buy-in is very costly for next gen managers. The next generation of leadership jumps ship as they won't take on such large stock acquisition debt. Growth stalls and never recovers. A high growth company installs a stock appreciation rights ("SARs") plan. The liability associated with a SAR plan spiked to be greater than the company's annual profit or in some cases, revenue - nearly strangling the company's growth plans. A 30 year old services company has a mix of older and younger owners. Partners buy-in and sell out at book value. Now the older HUNCs (High unit/no clients) partners refuse to sell their shares at book value - effectively "retiring in place". Opportunities for emerging talent are limited and several execs eventually depart. These are not HR problems - they are strategic impediments to growth. Unfortunately, too many CEOs and Boards turn a blind eye to these issues. Don't let the value destroying incentives happen to you. 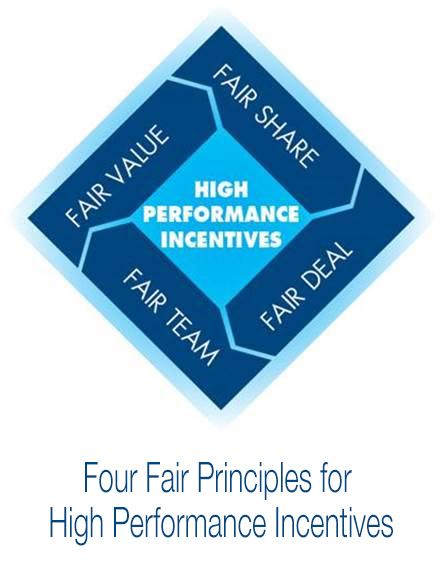 The best incentive programs, like the best IT programs, should go through several levels of testing. Affordability: Can we afford the plans now and in the future - even in the event extreme volatility? Competency: Can we use these plans to attract and retain the most precious talent - regardless of whether this is the CXO or senior managers? Succession: Can we use these plans to help us execute on our leadership and capital succession plan - such as: change in control, going perpetual, stay in the family or ESOP? Simplicity: Can we explain the program easily to our key talent and the plan is easy to adopt from a book, tax and administrative perspective? Resiliency: Can we modify or dramatically change the plans given changes in our competitive landscape, business priorities and people strategy. No doubt, it is better to design and fully test your plans in advance. Commit yourself to designing "good incentives" that are affordable, flexible relative to competency and succession, simple and resilient. For more information, see the Top 40 Rewards for Strategic Advantage. Please contact us to learn.